Celebrating 75 years in the business, Coach’s latest collection was to clearly portray the nostalgic glance with a spirit of total optimism, rebellion and a bold sense of promise that strums up the American dream. Layered with striking visions of individuality within a city and clashing pot of melting cultures, Stuart Vevers bought the East Coast style to meet the New York cool hip hop vibe. Oversized faux fur jackets led the runway with a daring pastiche of street-friendly pieces. Edits of plaid and childhood imagery that of shuttles and dinosaurs featured beside puffy outerwear and rockstar leathers defining the character Coach man always knew he was. Overall Autumn Winter 2016 viewing was optimistic with a low impression of luxury and open vision on expression and of course, impression. 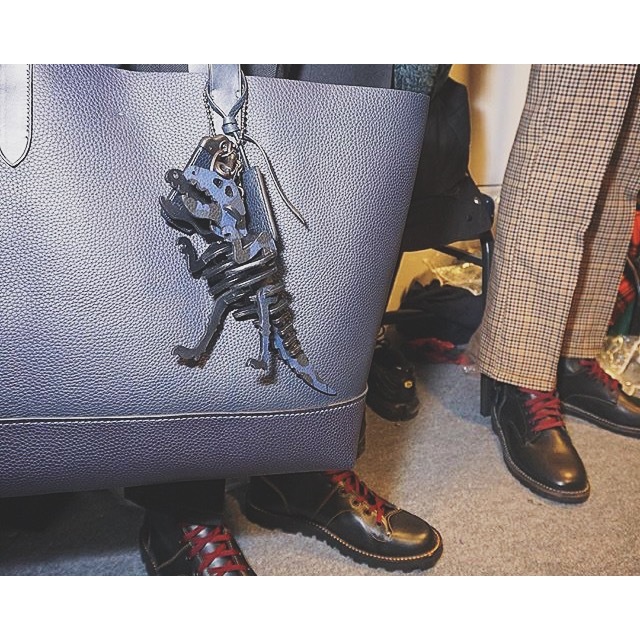 This entry was posted in Trend Reports and tagged autumn winter 2016, aw16, british fashion council, coach, LCM, London collections men, stuart vevers. Bookmark the permalink.